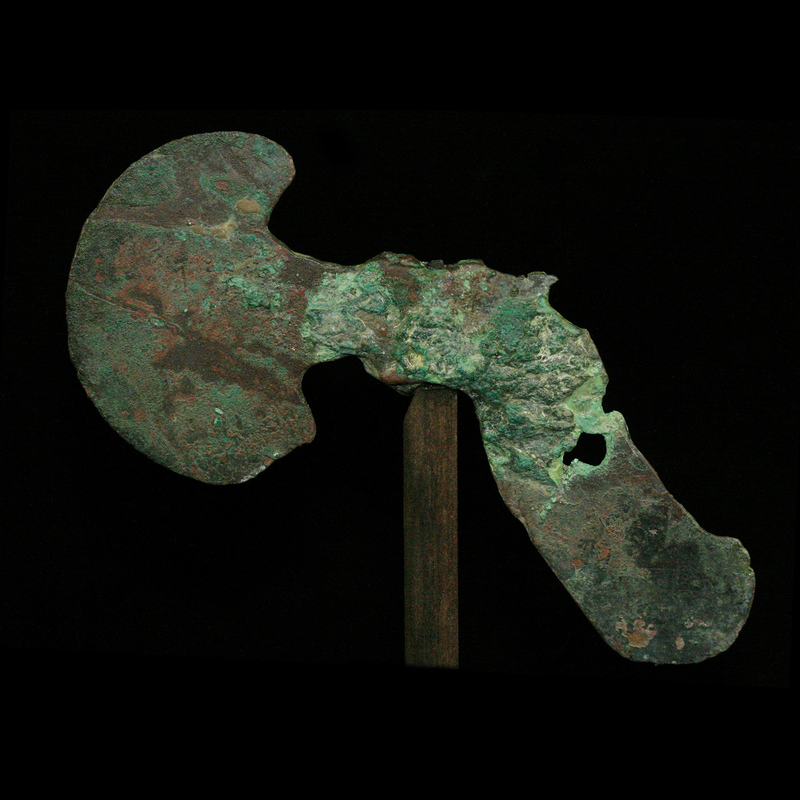 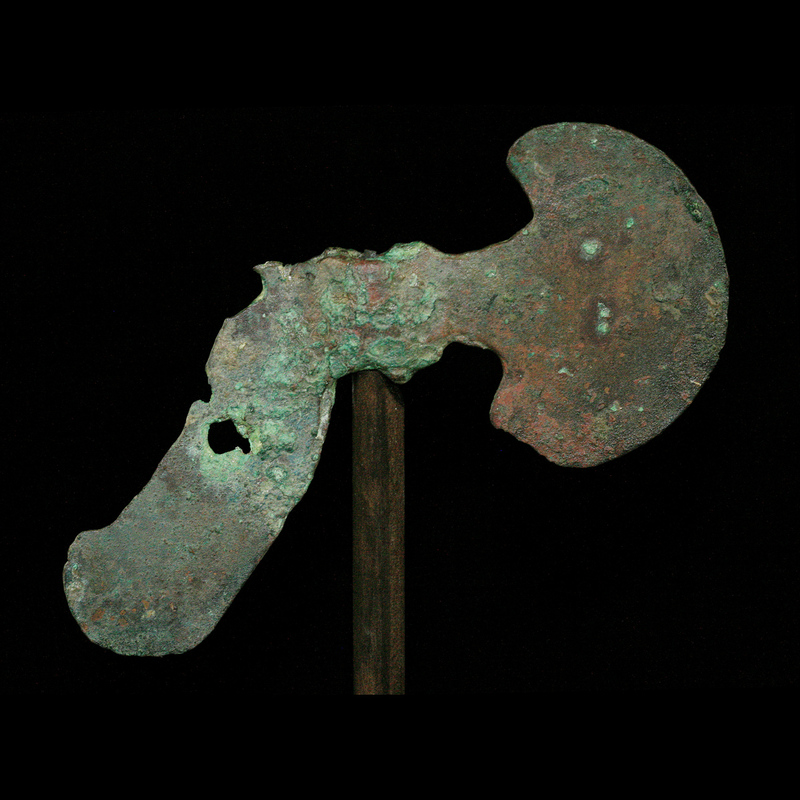 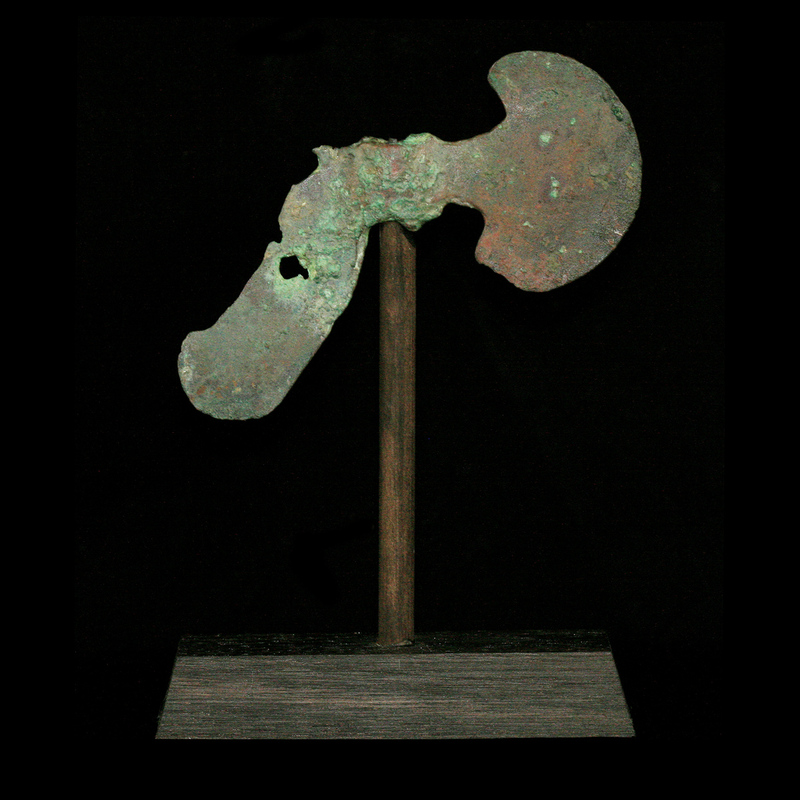 ﻿ Indian and Himalayan : Bactrian votive axe blade. 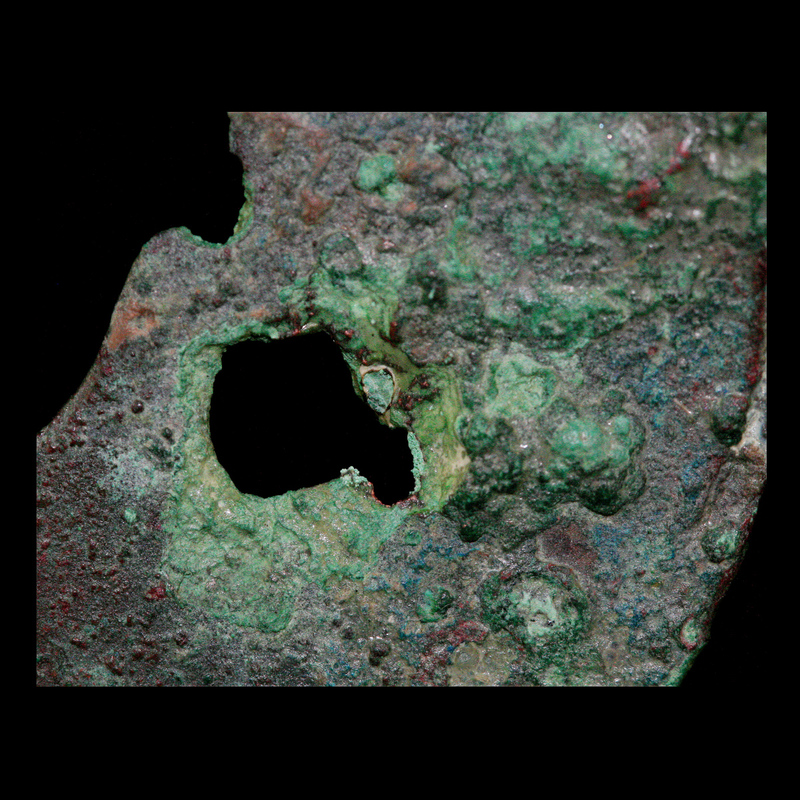 Heavily built up verdigris patina with ancient loss evident. 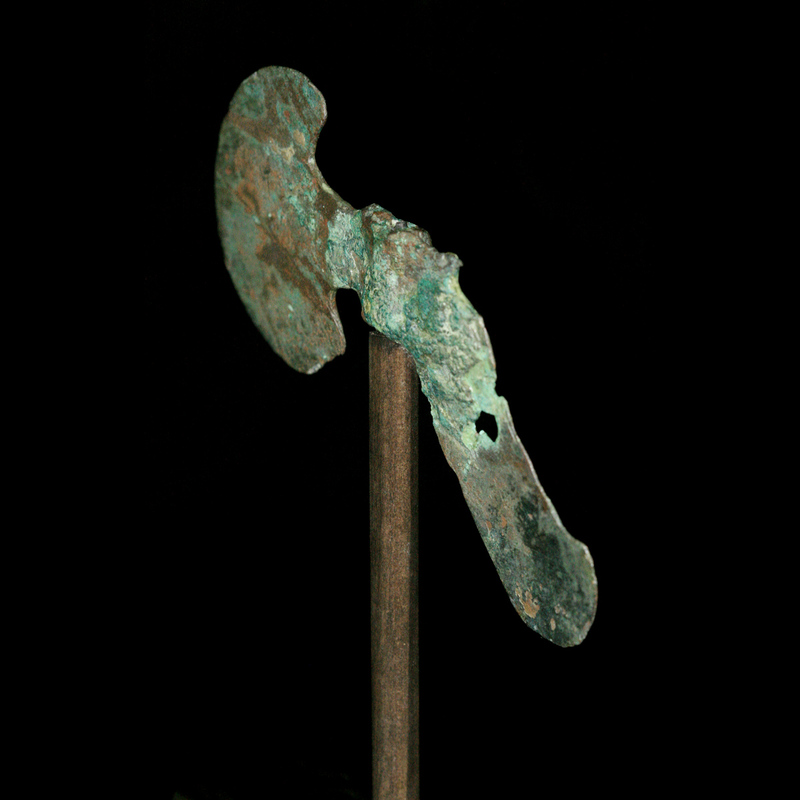 Presented on a wooden display mount.